It is difficult to bring something new to a war movie, particularly ones set during the Second World War. 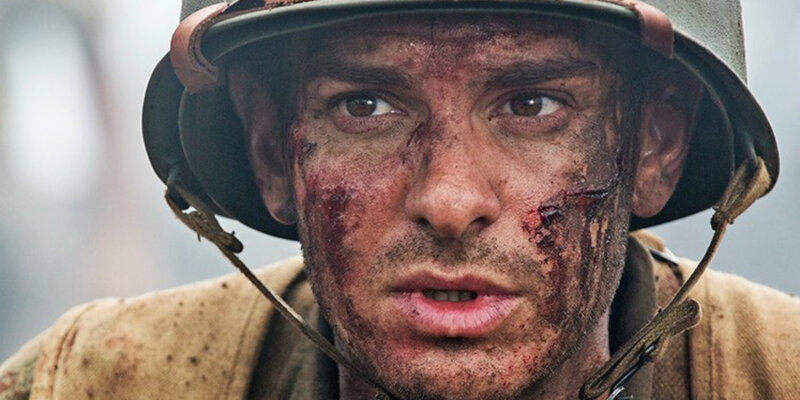 Films like Saving Private Ryan have brought the definitive vision of the war to the big screen and the story needs to be something different to really compete with what has gone before. Luckily, Hacksaw Ridge manages to offer a different type of war movie. The story is a true one, about the actions of Desmond Doss, a soldier who enlists in the army during the war but refuses to fight, or even pick up a rifle. The first half of the movie is about his training and how the powers that be try to force him out. It is done very well but you can’t help but draw comparisons to movies like Full Metal Jacket, with Vince Vaughn playing a poor version of Lee Ermey’s Sgt Hartman. It is a small falter in a compelling first act for the movie, which helps the audience to get behind the central character, played with confidence by Andrew Garfield. This is a film about World War 2 though so the conflict itself has to be addressed. This is where Mel Gibson shows his capability as a action-director. Having already staged large set-pieces in movies like Braveheart, Gibson ups the ante further, demonstrating the brutality of war in all of it’s gore and horror. It never feels over-done or unnecessary but rather a fair and realistic reflection of what the events were like. It also helps to stage the next part of Doss’ story. Doss was ostracised for being non-violent during wartime but manages to undo that reputation and treatment in one single night. His amazing story is crafted well, with him slowly but surely saving soldiers in one night on top of the titular Hacksaw Ridge. It is tense, quiet and full of dramatic scenes which heighten the danger. You feel every breath, dodge every footstep and sigh with relief as each man is saved. It is compelling and will have you on the edge of your seat. Not only are the audience now behind Garfield’s Doss but so are the soldiers and others in his company. 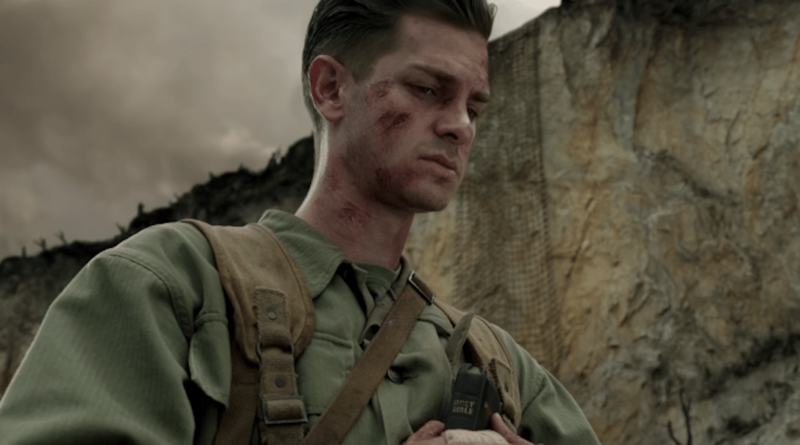 This is where Hacksaw Ridge’s minor cracks begin to show. Doss goes from a man ostracised to practically a saint, with one scene where men wait for him to finish praying before attacking feeling slightly contrived. The same can be said for the depiction of the enemy. The Japanese are the “villain” of this movie, being barbaric and remorseless with no context. Other movies have done well to try to downplay this “black and white” depiction of good and evil within war but Gibson doesn’t shy away from it, making his view on the enemy clear. This isn’t that kind of movie though and this depiction can be forgiven because the story is focusing on the efforts of one man in particular. In this case, the story of Doss is told really well and acted ably to match it. 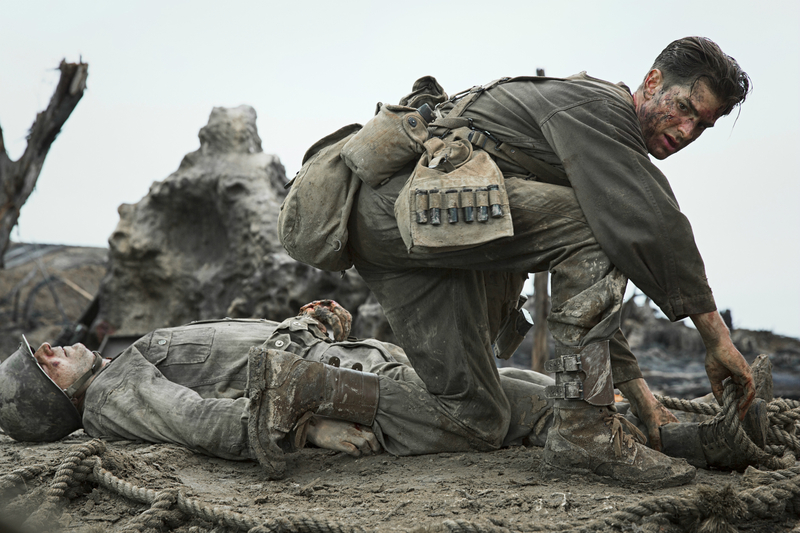 Overall, Hacksaw Ridge is a brutal, direct depiction of war. Director Mel Gibson doesn’t shy away from the violence but uses it to tell a compelling story about bravery and sacrifice. One that is made more astonishing because it is true. Nice review. A very compelling movie.